Holiday season is just around the corner. The delicious food, the parties, the special moments with loved ones – there’s a lot to look forward to. Holiday season, however, is also known for having one too many drinks. As a result, the number of DUIs increases around Christmas and New Year’s Eve. To have some fun without facing the wrath of the Arizona police, you’ll simply need to do a bit of preliminary planning. 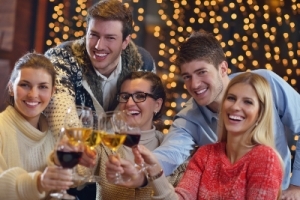 While having fun and enjoying the holiday euphoria, we often tend to cast caution aside. Arizona statistics confirm this fact – the number of DUIs and serious accidents on the road increases over the holidays. In 2017, over 2,000 DUI arrests were made in the period from Thanksgiving to Christmas. The number of traffic stops for the same period reached 63,000. While most of the DUIs lead to misdemeanor charges, there were 415 serious offenses and 262 aggravated cases. On the average, 88 traffic accident deaths will occur on Christmas day in the US. Of these, 30 will involve alcohol consumption and impairment. The number goes up to 106 traffic accident deaths on New Year’s Day and 45 of those involving alcohol impairment. You can do so many things to avoid jeopardizing yourself and others during one of the most festive times of the year. Arizona is a zero tolerance state. Don’t drink and drive – period. Even if the concentration of alcohol in your blood is below the legal threshold, you can still be charged with being impaired to the slightest degree. To sum it up, you can avoid serious dangers and being charged with DUI if you plan ahead of time. Local cab companies and other driving service providers have convenient and affordable services all can enjoy following holiday parties. This is the best option if you don’t have a designated sober driver or you’re not certain that they will be leaving the celebration at the same time as you. You should also take care of friends who end up consuming a lot of alcohol. The responsible thing to do is to take their car keys away. Not only do they face potential DUI charges, they could kill themselves or harm somebody on the road. Call them a cab or drive such friends home to make sure they’re ok in the end of the night. A final option to consider is celebrating at home. A party at your own place can be a lot of fun. It carries a more intimate vibe than larger celebrations and it will provide a nice alternative to the noisy, crazy gatherings. Happy Holidays! 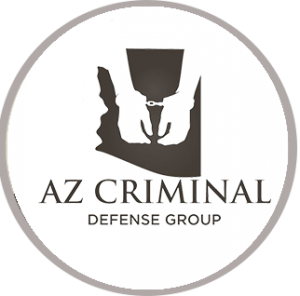 Click here for information on what is the punishment for an Arizona DUI conviction.